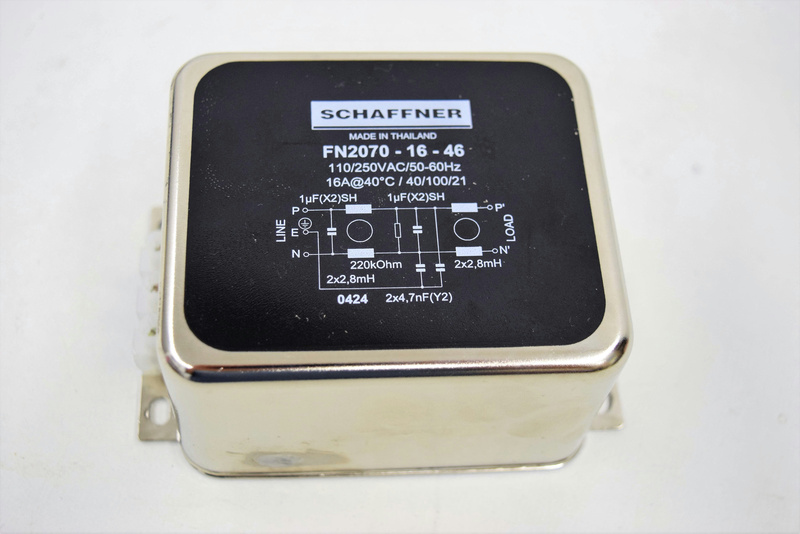 Schaffner FN2070-16-46 Power Line EMI Filter 110/250VAC Single Phase . New Life Scientific, Inc. This stainless steel performance filter is in great cosmetic condition and incredibly clean. The instrument part is untested, but it was removed from a functionl chromatography system. Single phase chassis mount filter.